Every business needs the Internet, even if it is just for emails and browsing the web. Most small businesses start off at home. Many only go on to get their own office or other premises when they are more established and have a growing client base. Getting the cheapest Internet for your start-up is understandable, especially at the beginning when cash flow is tight. However, as your business grows you will soon find that ‘broadband for home’ is really not adequate for your growing company’s communications requirements. Admittedly, specialised broadband for business is likely to cost more than the Internet for homes. 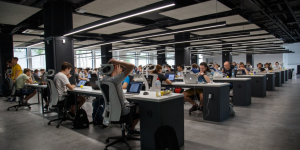 Moving to new premises is typically the time that business owners ask ‘do I really need business-grade Internet?‘ Read on to discover what business-grade Internet is, the benefits it gives businesses like yours whom we work with, and why you should see the business broadband as an investment. There are three ways to understand how businesses would suffer without reliable Internet. Firstly, as Steve Bellamy, MD of Bellcom Communications Ltd points out, many companies no longer exist in bricks-and-mortar form, and therefore the Internet, in the form of a website and online advertising, represents the entire storefront they present to their clients and customers. The Internet is also their interface with their suppliers and workers. These start-ups cannot function and get more customers without a reliable broadband connection. The ability to communicate with others is critical to doing business. Gone are the days of sending letters, invoices and essential messages to clients and suppliers by “snail-mail”. In the age of time-critical instant communication, the Internet, email and conferencing used effectively, help you streamline business activities, communicate more efficiently with customers and partners and even generate new customers. They say ‘time is money’ so it makes sense that the right modern telecommunications are helping to reduce business expenses. It is almost impossible to imagine how we can conduct business without the Internet now. Going forward, big data that powers business technologies and processes like the Internet of Things (IoT) require ‘always on’ communication networks that only superfast Internet makes possible. All of the evidence tells us that the ability to communicate and share information at high speed will become increasingly vital for business success going forward. As Steve emphasises: “Business technology must now interconnect people with the proliferating devices, data and systems that populate our digitalised world via the Internet”. Internet speed (how fast data can come (downloads) and go (uploads) through your modem) is essential, because the faster your Internet is, the more you can do online. It also means more people can use the Internet at the same time without slowing each other’s consumption. Typical high-quality broadband packages for UK homes promise anywhere between 38Mbps and as high 76Mbps. These speeds should suffice for web-browsing, music streaming and accessing on-demand television. However, you rarely get these high speeds that the big Internet service providers advertise for a multitude of reasons. Business broadband is generally available in way faster speeds than residential Internet. As a business customer, your speeds will be prioritised over residential users; meaning contention ratio (the number of properties sharing a broadband line) in your area isn’t as much of an issue. 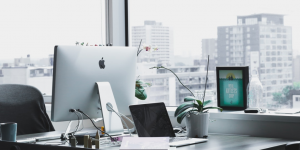 Dedicated leased lines that deliver broadband to your work premises and nowhere else mean that you can be guaranteed to get the Internet speed you buy. They want faster internet – Business requires the capacity including better upload speeds, which makes it easier to post things to the web, make video calls, and so on. Many of our clients are expanding businesses, so our high-speed Internet is ideal to enable their teams, whether they work remotely or onsite, to maximise their use of the Internet 24/7/365 without slowing others and the business down. Depending on the type of connection you choose w to our dedicated leased lines customers. They can’t afford downtime – Cast your mind back to the last time there was a problem with your home Internet. Chances are you had to wait for several days, if not weeks for an engineer to come to investigate and get you back online. 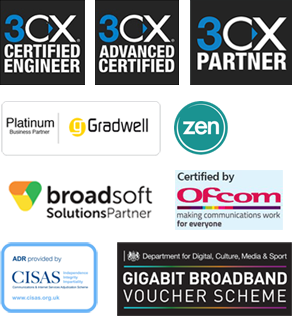 Our business Internet clients know that downtime, when their Internet is down and unavailable, business broadband customers do not want to wait unnecessarily for problems to be repaired because our team of dedicated expert engineers diagnose and on the same day wherever possible, minimising adverse costs by getting them back online asap. They demand maximum security – Every business face cybersecurity threats from hacking, malware, viruses and more. No one is immune! The financial and reputational damage of security breaches can be costly for companies, so protecting their business networks and systems is vitally important. Our clients expect our business-grade Internet to provide superior Internet security as a matter of course. Automatic round-the-clock, cloud-based backup of our clients’ company data is a natural extension of our comprehensive business telecoms security solutions. Our business telecoms provide certainty to our customers that if there is a security breach, we will recover all of their data speedily. They need converged communications – Businesses want to do more with less, especially when technological advances make this possible. Today, more and more of our clients want to work smarter and find ways to drive out inefficiency without driving away customers. Given the significant amount of our clients’ time that is spent communicating – with colleagues, customers, contractors, suppliers – it makes sense for them to want their telecommunications provision to increase their competitive advantage by improving the efficiency of how they communicate. Our business broadband that powers all of our clients’ communications devices – telephone, internet, Wi-Fi and mobile, without degradation – is often termed ‘converged communications’. By bringing together voice, video and data networks through their common use of Internet Protocol (IP), we create a seamless business environment that is potentially greater than the sum of its parts. IBM describes converged communications as “a ‘cocktail’ communication – a mix of any device, anytime, anywhere”. The impact on our clients’ businesses is improved employee productivity and customer service. You can’t leave your business Internet to chance because the costs of not getting the right telecoms to your business could be fatal. Moreover, the benefits that our business clients get from investing in business-grade broadband far outweighs the cost they pay for the service especially when you consider the improved productivity, increased customer satisfaction, lower operating costs and enhanced network security they receive. The benefits your business could get from our business telecoms solutions is priceless! Contact us for a free review of your business telecoms packages and to explore telecoms networks and tariffs for your company.